Wow! So we are finally in Manow! We landed in Dar es Salaamvery late on Monday, September 19th. Liz, our volunteer coordinator’s daughter, met us at the airport which was very helpful. 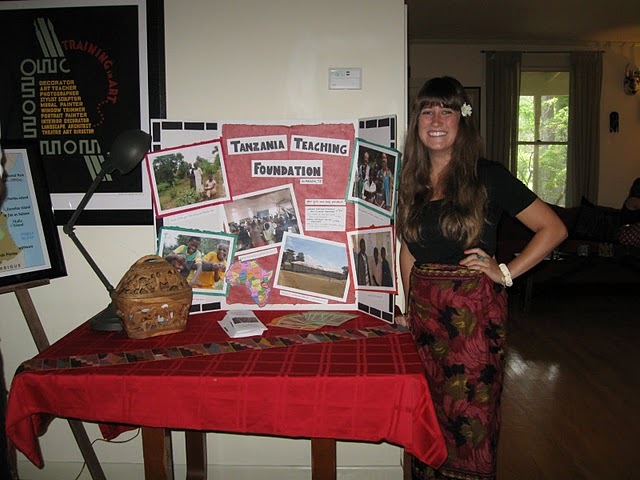 She is finishing her second year in the Peace Corps and her Swahili is very good. We spent the next day and night in Dar running errands for the phones and exchanging money before heading towards Manow. The first leg of the trip was a very long bus ride from Dar to Tukuyu. We left from the bus station, Ubungu, around6:00 in the morning. When we arrived at Ubungu on Wednesday morning it was still dark and very crowed. Apparently every other set of volunteers has had something stolen while navigating the station which has about 200 buses that all leave at6:00 when the sun comes up! We were proud to have made it the whole way with all of our belongings! The bus ride was very long but a lot of fun. We went through a small part of a national park and saw zebras, baboons, giraffes (twiga), and buffalo. Parts of the landscape looked a lot likeNew Mexico. After about 14 hours we made it to Tukuyu and tried our first chips maiai, which is basically a french fry omelet. The next day was spent running more errands at the market in Tukuyu where we can buy staples like peanut butter, laundry detergent, tomato paste, and pasta. The ride to Manow was about two hours on a bumpy dirt road with a man named Jamhuri who was so much fun! He was so excited and just smiled the whole time while Katelyn and I giggled with excitement in the back. The road to Manow was amazingly beautiful. There are these rolling green hills covered with tea, bananas, sweet potatoes, and avocados. TheLivingstonMountainsare also part of landscape. So on Thursday evening we finally made it to Manow , our home for the next 10 weeks. These past couple of days we have been meeting important members of the community and the school. Manow Junior Lutheran Seminary is the school here. It is essentially a boarding school with about 800 students. Many of the people we see around are teachers or students. We met Joshua Mwalukosya and his wife Hiari who are close friends ofNancy. They showed us video and photographs of their wedding in July. It was interesting to see the different traditions. In a Tanzanian wedding the bride must look down throughout the entire ceremony to appear sad about leaving her family. But they are so happy and seem very much in love. Mwakaje has also been very helpful. He teaches math at the school and spent about 5 years in theUSfor school, so his English is very good. Whew! There are so many things to say and so many people to tell you all about. It is impossible to think of it all! I’m very excited to go to the market in Lwangwa every Saturaday for produce. Mama Hari and Mwaikema, who happen to the parents of one of our students, have offered to show us how to make braided mats out of banana leaves and show us different hikes/shortcuts in the area. I also want to ask Mama Malanga next door to teach me to make mandazi (little fried dough balls). It’s so exciting to meet all the people we’ve heard stories about! Oh! There was one surprise today thatNancysomehow forgot to tell us. Manow does experience earthquakes! This morning before church we felt three small ones. The epicenter is a little further away so they are never very large but it was still surprising. Ok, now we’re headed to our parent-teacher meeting! Class will start tomorrow morning! I’ve decided to continue using this blog to document my next big adventure. In September I will be heading to Manow, Tanzania to teach English for three months with my grandma Dot and my roommate Katelyn. Manow is in South/Central Tanzania, just north of Lake Malawi, kind of near Mbeya. 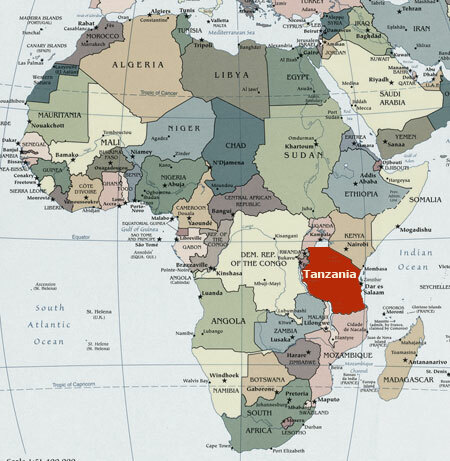 In about two weeks we will fly in to Dar es Salaam and then take a 15 hour bus ride to Manow. Nancy Winters, the woman who wrote the curriculum (which includes some lessons on sustainable farming, nutrition/hygiene, and AIDS prevention in addition to English) and coordinates the trip will be traveling with us and helping us with parent-teacher meetings during our first week in Manow. But before we can leave there is still a lot to do. I have all of my immunizations: Yellow Fever, Hepatitis A, Typhoid, and a giant bottle of Malaria pills that I will take daily for the three months I am away. There’s also some paperwork to finish before Evergreen can give me credit. Initially I was planning on posting to my blog weekly or bi-weekly but Tanzania has been experiencing rolling blackouts due to the extreme drought in Eastern Africa. Nancy talked to the school last week and it sounds like we will have power about once a week. Nancy has suggested sleeping with the light switches on so we will wake up whenever the lights come on. I will write regularly and post whenever possible. I also just wanted to say thank you one more time to everyone who came to the fundraiser/going away party we had here in New York. It was a really great success, helping us raise the rest of the money the foundation needed to begin building a new school in Manow! Although it’s only two weeks away I still haven’t adjusted to the thought that I will be away for three months. Living in Africa isn’t what makes me nervous. The most unfamiliar aspect of this trip, and what makes me the most anxious, is teaching. I think teaching will be the greatest challenge, as well as the most valuable learning experience, for me. But until I get there it’s just too much thinking. I can’t wait to be there and let the adventure begin.